The wait for a myth-arc episode continues. Old school cases and easy hunts are nice, but not when there are more important and pressing matters to deal with. It’s sad when the witches are more interesting than the Winchesters. 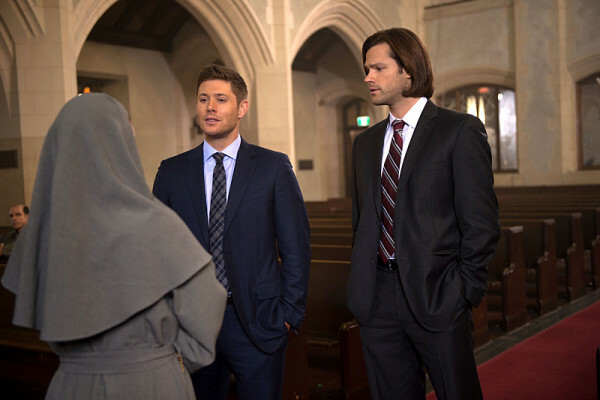 It’s not often that I admit that I grow bored with an episode of Supernatural, but this latest entry into the canon might qualify for that description. I miss the excitement, the act of being surprised by how a case unfolds. 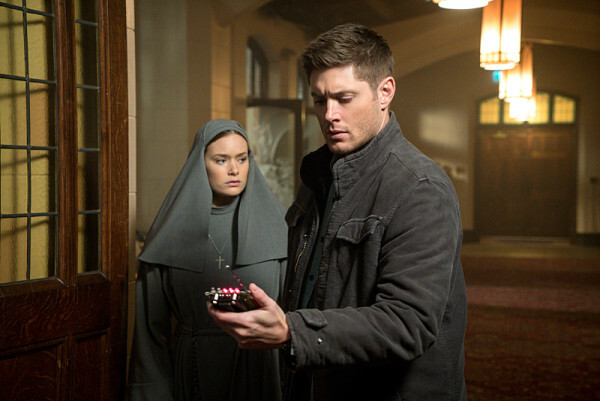 The Winchesters have grown and changed and seen more than many hunters have ever dreamed of, so to throw them back into a simple ghost case seemed a bit too simplistic. Added to that was the fact that neither Sam nor Dean acted like they had as much knowledge as they actually do, so it was like watching them work through a case back in their youth. This case should have been sewn up in five minutes, blindfolded and with their hands tied behind their backs. Instead, we had to watch them try and fail to figure out the reason for the apparent suicides for nearly an hour. And if the problematic case structure wasn’t enough, the ending left me with more questions than answers. Or more frustration than answers is perhaps the more fitting term. Why was Sam driving? Not that I don’t like seeing him behind the wheel once in a while, but Dean didn’t seem to be bleeding out and dying, so I’m not sure why the younger Winchester was in the driver’s seat. Dean was emotionally flat, sure, but not physically incapacitated that I could see. Also, why are we once again treading the same ground we’ve already covered? Sam wants to save Dean, Dean’s resolved to just live until he dies, but he doesn’t want to die… just like in Season Three again! Write something new and give me something to look forward to. At least Rowena proved to be entertaining and engaging. She wanted revenge on the coven, and Crowley eventually delivered. I do think her nitpicking of him might backfire at some point, but it’s entertaining to watch her get at him every chance she can. And the potential is there for her to integrate into the overall Winchester plot, even more so now that she knows the Men of Letters is behind the coven’s destruction. Will the myth-arc wind up with seeing her perish? And will her son die along with her? I know Crowley thinks he’s got the upper hand, always, but based on the situation with Cain and the prophetic nature of that conversation, I fear for his eventual outcome. But in the end I just want to get back to the myth-arc. One-off episodes are great once in a while, but when we start having a trend of them it just gets me impatient. There are big things on the horizon for all the characters. Let’s get to them. Will Crowley make it out alive? 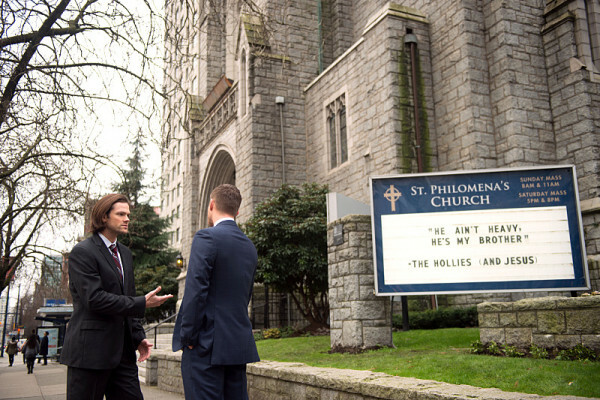 Can Sam save Dean before it’s too late? Will Cas have any relevancy to anything? And are we going to be in tears when this season is over? I’m trying to be patient as I wait and see, but my patience and my time in the season is growing short.